The Killyhevlin Lakeside Hotel is celebrating the first ever Fermanagh Restaurant Week by offering ‘A Taste of Killyhevlin’ Taster Menu from Monday 19th to Thursday 22nd September. Fermanagh Restaurant Week, which runs from 16th -25th September, will embrace all things local by offering foodies a series of events and tastings in various locations across the county. 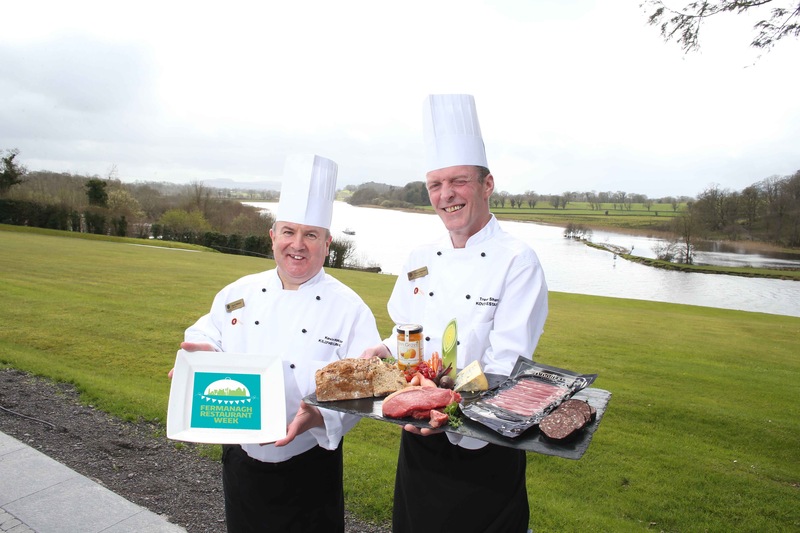 The award-winning Killyhevlin Lakeside Hotel is a proud member of Taste of Ulster and prides itself in supporting and celebrating local farmers, producers and fishermen, and the Taster Menu highlights this commitment. Killyhevlin Executive Head Chef Kevin Watson, alongside Premier Sous Chef Trevor Shannon have created the detailed Taster Menu paying close attention to local produce. “We hope the first ever Fermanagh Restaurant Week will be a really popular event,” commented Kevin. For more information on the Killyhevlin Lakeside Hotel or to book ‘A Taste of Killyhevlin’ go to http://www.killyhevlin.com or call +44(0) 28 6632 3481.